DIY landscape lighting not only provides function, but can make your outdoor space substantially more beautiful. If you’ve already pulled-out all the stops to make your yard look top-rate with spectacular hardscaping and softscaping, it’s time to put the last piece of the puzzle into place–landscape lights. 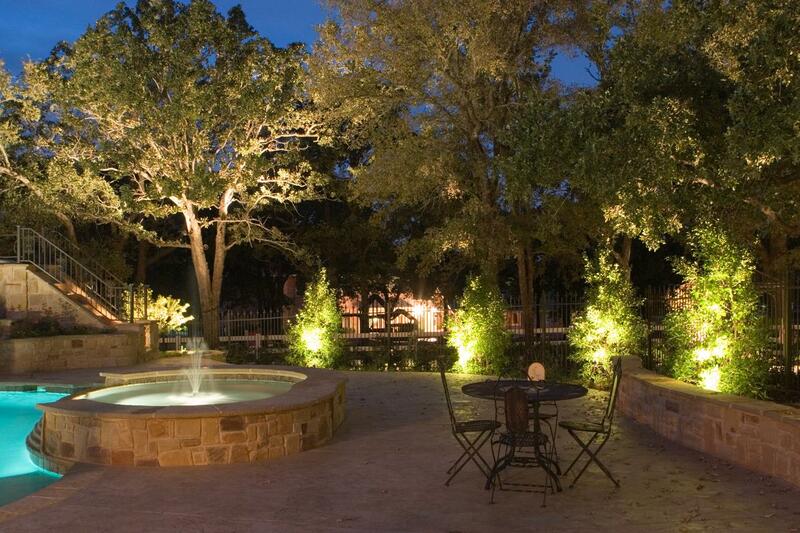 Outdoor light transforms a yard, patio, deck or garden from ordinary to extraordinary. Not only does landscape light make your exterior accessible during the evening, it sets-off key features that dazzle the eye. And the good news is, the majority of exterior lighting is energy efficient. There is a wide variety of low voltage outdoor lighting fixtures on the market. Not only does that lower the long term cost, it also provides a great deal of fixtures from which to choose. When you are ready to install outdoor lighting, keep in mind not only where but how the fixtures will work. That means choosing hardware that will not only get the job done, but hardware that will help to create a sense of artistry. Whether it’s an ethereal moonlight beam created by garden lighting, or an illuminated walkway set-off with path lights, a combination of function and style give a home more curb appeal and help to up its resale value. And this is accomplished by careful planning–taking an extensive view of the long-term goal. For instance, using a classic insider’s trick of continuing indoor flooring to the outside facade. This can be done in-part through well-positioned landscape lighting. Another great design idea is to use light to create a sense of warmth with patio furniture for outdoor dining and just relaxing with family and friends. Landscape lighting doesn’t have to be expensive, but it’s very easy to overspend. Most homeowners who opt to take on this type of project often don’t know how to budget for their project. What’s more, it can be difficult to stick to a design concept, particularly when professional skills are needed to install specialized hardware. Opt for professional help. Electrical wiring is no less dangerous outside than inside a home. Outdoor lighting can be very difficult to adjust and/or move if necessary. PLus, you need to match all the elements together to not only make it safe, but functional. After all, poorly placed and poorly illuminated lights simply will not provide the effect you’re looking for around the exterior of your home. Purchase an appropriate-sized transformer. Even when using low voltage landscape lighting, power needs can be substantial in large outdoor spaces. If you’re not familiar with this technology or believe you don’t possess the necessary skills, simply hire an experienced landscape designer. Plan ahead if installing your lighting in stages. If you are going to do your project in stages, set the infrastructure during the initial phase. This will allow you to continue without having to uninstall and reinstall hardware. Lastly, try to blend your landscaping lighting fixtures in with the outside decor. While this will require a bit of expert ingenuity, it will make your outdoor space look all-the-more spectacular.